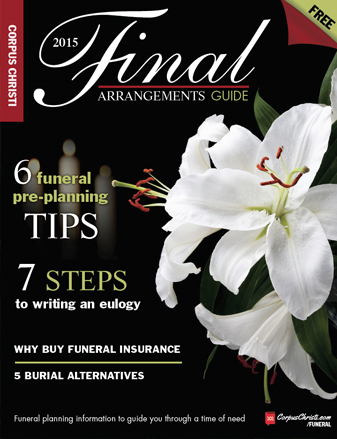 Browse Final Arrangements Guide for more articles like this. Australian prime minister Sir Robert Menzies (left) with Sr. Winston Churchill. 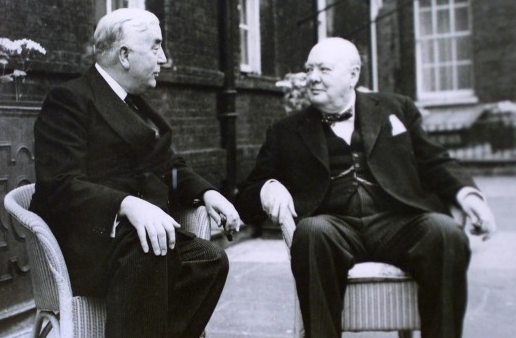 Menzies’ eulogy of Churchill, who died Jan. 24, 1965, is one for the history books. Penning a eulogy takes effort and care. Rarely do our English classes in school give lessons on eulogy writing. So one of the best ways to learn how to pen a eulogy is by reading others. Below, you’ll find a few well-written eulogies that can help motivate you. We’re not saying you should copy these eulogies but rather pull ideas from them. You’ll also find a list of popular Bible verses and passages others have used in eulogies or homilies during memorial and funeral services. Sometimes, these can stir some thoughts about what to say as well. And finally, we’ve included a list of quotations regarding life and death. You can recite these in the eulogy or even use one as the basis for your eulogy. On Jan. 30, 1965, Sir Robert Menzies, the Australian prime minister, reminded mourners that one man can not only unite a country but many countries when it came to standing up to, what appeared, overwhelming evil. Menzies' stirring words remembering Sir Winston Churchill shows us how a eulogy doesn’t always need to touch every part of a person’s life but can focus on those points that really made the individual stand out. — Sir Robert Menzies, “One Fire Burning in Him"
When U.S. Sen. Dianne Feinstein spoke during Bob Hope’s funeral Aug. 27, 2003, she sprinkled in the words of others within her eulogy. While we often ask, “What can I say?” about the person, sometimes, it’s worth reading or remembering what others said and find a way to incorporate that in your tribute. Just remember to credit the person who first said or wrote it and also make sure it fits in your eulogy. If you just scribble it in there because it sounds nice but doesn’t relate to your eulogy, people will know. Maya Angelou inspired the nation, and the world, with her words. After the death of Coretta Scott King, the widow of Dr. Martin Luther King Jr., Angelou reminded the world of Mrs. King’s dedication to the fight against injustice. But it wasn’t enough just to remind us. So in her eulogy for Mrs. King, Angelou pushed us to keep going in the direction toward which Martin Luther King Jr. and his wife helped point us. While eulogies often recount a person’s life, they also can be used to inspire listeners to pick up where the person left off or even achieve their own dreams. Dealing with the loss of a loved one hurts, and that pain often finds its way into our words. To make sure a eulogy for your loved one doesn't get mired down by that grief, try to celebrate his or her life with words of encouragement and strength. During the attack on the World Trade Center on Sept. 11, 2001, Father Mychal Judge lost his life among so many others. A few days later, his friend Father Michael Duffy offered a eulogy that touched on the tragedy and loss but also on Judge’s courage and faith. A good eulogy should combine remembrance with a positive message. “It is foolish and wrong to mourn the men who died. Rather we should thank God that such men lived.” — Gen. George S. Patton Jr.